CGSOC Class of 2018 – Persons of the Month for June | Command and General Staff College Foundation, Inc. The CGSC Foundation has selected the 2018 graduating class of CGSC’s Command and General Staff Officer’s Course (CGSOC) as the Person(s) of the Month for June 2018. The class is scheduled to graduate June 15. 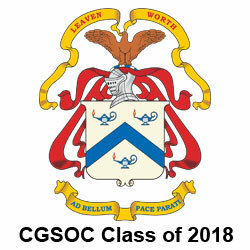 The 2018 graduating class of CGSOC is comprised of more than 1,000 United States Army (789 students), Marine Corps (28 students), Navy (21 students), Air Force (77 students) and Coast Guard (one student) officers, as well as 12 civilians from other U.S Government agencies and departments. There are 12 Army civilians that will also graduate with the class. A unique aspect of this class is the international student delegation population. The 2018 graduating class has 119 international students from 91 countries, which is the largest since 2007. International military education began at Fort Leavenworth in 1894, and since then, more than 8,000 international officers from 164 countries have attended classes alongside their U.S. counterparts. 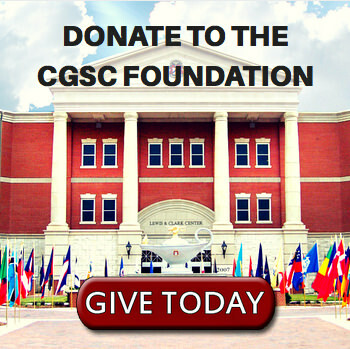 CGSOC is a 10-month course designed to develop war-fighting and adaptive leadership skills necessary for military officers to be proficient in Unified Land Operations. The College strives to be an educational center of excellence that is renowned in the study of leadership, the conduct of joint and combined land warfare, and the application of Joint, Interagency, Intergovernmental, and Multinational organizations to synchronize all elements of power to achieve national objectives. The College supports field commanders with well-trained and well-educated leaders, in-depth research in operational-level studies, and reach-back planning in support of ongoing operations. The education all CGSOC students receive is on a graduate-level, but they also have the opportunity to enroll in the Master of Military Art and Science (MMAS) degree program. (CGSC is accredited by the Higher Learning Commission of the North Central Association of Colleges and Schools to award the master’s degree.) 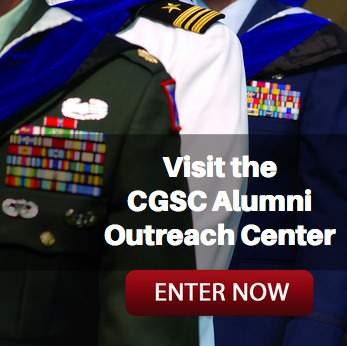 Participation in the degree component of CGSOC is voluntary since many come to Fort Leavenworth with masters, doctorates or professional degrees already in hand, or in progress. In the 2018 class, more than half had a graduate degree or higher or were in-progress towards a graduate degree when they arrived at Fort Leavenworth. Several hundred will graduate with a MMAS as well. In recent years, one of the unique aspects of the U.S. military students in the CGSOC classes has been their deployed experience level. One cannot overstate the fact that although CGSC is a graduate-level educational institution, CGSC students are anything but normal graduate students. Out of the 1,143 students in the 2018 class, more than 60 percent have been previously deployed to combat operations or other military engagements around the world. – They arrived at Fort Leavenworth with a tremendous amount of experience in the profession of arms having been engaged in their nations’ missions around the world. For the normal graduate student, graduation might represent the start of a new career or a chance for advancement, but for CGSOC graduates it represents a seminal event that has prepared them for the next 10 years of their careers as they head back out to the operating forces to embark on new challenges and new missions around the world. The trustees and the staff of the CGSC Foundation salute the graduates of the Command and General Staff Officer Class of 2018. We wish them well and thank them for their leadership and sacrifice as they leave Fort Leavenworth. They are more than deserving of our recognition as the Persons of the Month for June 2018.